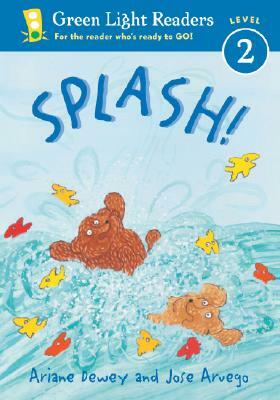 HMH Books for Young Readers, 9780152048327, 32pp. Jose Aruego and Ariane Dewey have illustrated more than seventy popular children's books together. &lt;br&gt;Their widely acclaimed Antarctic Antics: A Book of Penguin Poems, written by Judy Sierra, was featured &lt;br&gt;on National Public Radio, won a gold medal from the National Parenting Publications Awards, and was a &lt;br&gt;Publishers Weekly, Ingram, Borders, and Amazon.com bestseller. They are the illustrators of the Robert Kraus &lt;br&gt;classics Leo the Late Bloomer and Herman the Helper, which received a Boston Globe-Horn Book- Honor.&lt;br&gt;Mr. Aruego and Ms. Dewey both live in New York City.